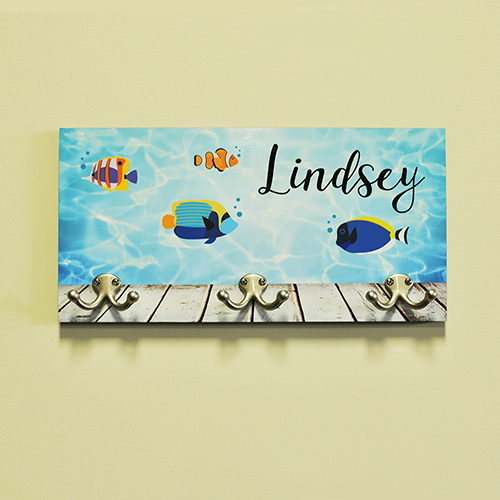 Keep track of winter coats, toys and backpacks with this fun and functional Personalized Custom Name Aquarium Coat Hanger. Make every day a beach day with this beautiful custom decor! Any name is lovingly applied to our sturdy, hardboard by our specialists right here in the US.